The Facilities & Maintenance Department researches, coordinates, and supervises all aspects of the building maintenance, upgrade, renovation, and construction phases for the Caroline County Public Schools system. Our facilities are available for public use. An approved Building Use Request is required to use any CCPS facilities. Each request must receive approval from three (3) sources. You may be contacted by multiple individuals with follow-up questions to your request. Please contact us to verify the status of your request. You may reach us at 410.479.1210 or [email protected]. Fees may be assessed for use of CCPS facilities. Fees for custodians will be charged beginning one half hour before the scheduled activity, ending one half hour after. A minimum of two (2) hours will be charged. If required, cafeteria personnel are assigned by the cafeteria manager. A minimum of two (2) hours will be charged for cafeteria personnel. All stage lighting and sound system equipment may be charged a rental fee and requires the services of a stage lighting operator designated by the school principal. Parking lot lighting is automatically charged for any activity in progress after dark. Charges accumulate until lights are no longer necessary to support the activity. Air conditioning requires pre-approval of the Assistant Superintendent. Chillers will not be turned on during summer break without prior approval. Chiller charges must include a three (3) hour minimum. Portable toilet rental is the responsibility of the person or organization making the request. Prior approval from the building administrator is necessary. Opportunities to bid on facilities projects are posted as they become available. CCPS follows the State of Maryland’s rules and guidelines of bidding for Minority Business Enterprises (MBE). Bids should be submitted on the bid form provided in the solicitation. All bids must be signed and submitted in a sealed envelope clearly identified on the outside with the name of the project, date, and time of the scheduled bid opening as indicated in the advertisement. Faxed or emailed bids will not be accepted. Bids should be mailed or hand-carried to the specified location indicated on the advertisement prior to the announced bid opening. Bids received after said time will be returned to the bidder unopened. It is fully the responsibility of the bidding agent to insure the bid is received on time. The Board of Education will not speculate as to reasonableness of the postmark, nor accept apparent failure of a public mail carrier to have made a prompt delivery of the bid. The Board of Education reserves the right to accept or reject any and all submitted bids. The lowest submitted bid will not necessarily win the contract; the Board of Education will accept or reject a bid according to the best interest of the Caroline County Public Schools and reserves the right to award a contract by individual items, in aggregate, or in combination thereof as deemed necessary to fulfill the anticipated requirements of the School System. Any exceptions to the specifications set forth herein should be listed and attached to the bid. Exceptions may not disqualify the bid; the Board of Education will determine if the exception is an essential item or a minor deviation. If the exception is minor the Board of Education has the right to award to that bidder if it determines the performance of the contractor and the interests of the Board of Education are not adversely affected by the exception. It should be noted that multi-year contracts may be continued each fiscal year only after funding appropriations and program approval have been granted by the Board of Education. In the event that the Board of Education does not grant the necessary funding appropriation/ program approval, then the affected multi- year contract becomes null and void effective immediately at the start of that fiscal year for which approvals have been denied. All awards are based on availability of funds. If required by the Special Conditions of the Invitation for Bid, the bidder shall provide the Board of Education with Certificates of Insurance within ten (10) days of bid award evidencing the required coverage. All certificates must be provided before commencing work in connection with the awarded contract. In all specifications where a material or article is defined by describing a proprietary product or by using the name of a specific product, vendor, or manufacturer, it can be assumed that an approved equal can be substituted. Use of a specific product, name, vendor or manufacturer is an attempt to establish a standard of quality and type that is familiar to the Board of Education. If an unspecified product is included in a bid it is the responsibility of the bidder to support the claim that it is equal to the specified product and documentation proving the claim must be included in the bid. The Board of Education will decide if the product does in fact meet or exceed the specifications listed. Caroline County Public Schools is exempt from Federal excise and Maryland sales tax. A copy of an exemption certificate shall be provided upon request. All items, unless otherwise specified, including F.O.B. destination and delivery costs and charges, will be included in the bid. The Board of Education may authorize, upon request, a governmental entity (hereafter Authorized User) within the County to purchase items under the contract awarded pursuant to this bid solicitation. All purchase orders issued against the contract by an Authorized User shall be honored by the contractor in accordance with all terms and conditions of this contract. The issuance of a purchase order by an Authorized User pursuant to this provision shall constitute an express assumption of all contractual obligations, covenants, conditions, and terms of the contract. A breach of the contract by any particular Authorized User shall neither constitute nor be deemed a breach of the contract as a whole which shall remain in force and effect, and shall not affect the validity of the contract nor the obligations of the contractor thereunder respecting the Board of Education. The Board of Education specifically and expressly disclaims any and all liability for any breach by an Authorized User other than the Board of Education and each such Authorized User and contractor guarantee to save the Board of Education, its officers, agents, representatives, and employees harmless from any liability that may be or is imposed by the Authorized User’s failure to perform in accordance with its obligations under the contract. We use a variety of building controls to automatically adjust lighting and HVAC systems as needed. This ensures energy use matches actual demand. Real-time data lets us confirm and adjust our settings as needed. We also compare our energy usage across multiple days with similar conditions (temperature, rain, cloudiness, etc.) to identify outliers that may indicate a problem. This enables us to take a proactive approach to maintenance and energy management that results in significant savings over time. 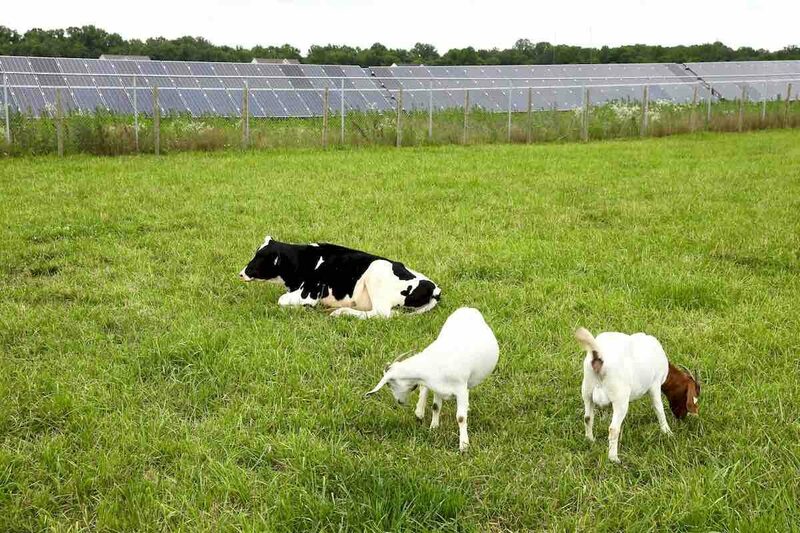 Photovoltaic (PV) solar fields are installed at most school sites throughout Caroline County. These systems generate many megawatts of electricity that are used in our schools. CCPS uses geothermal systems to heat and cool many of our buildings. These systems are extremely efficient and offer significant savings.